A secret memo prepared by a Congressional think tank and seen by the Daily Mail says that the US may need a "reassessment of the special relationship" with its key economic partner, Britain, "because its geopolitical setting has been changing." Winston Churchill's 1946 speech to Westminster College, in Fulton, coined the phrase "special relationship" to describe the exceptionally friendly political, diplomatic, economic, military and cultural relations between the United Kingdom and the United States. However, a classified document dated April 2015 and prepared for the for members of US Congress reportedly states that "the UK may not be viewed as centrally relevant to the United States in all of the issues and relations considered a priority on the US agenda." The congressional memo, edited by Derek E Mix, the CRS’s chief European affairs analyst, is meant to brief the Senate and House of Representatives on the impact of Britain’s upcoming May 7 general election. According to the Daily Mail, it says that the development of organisations, such as the G20 group, has resulted in the weakening of the "influence and centrality of the relationship" between the US and UK. 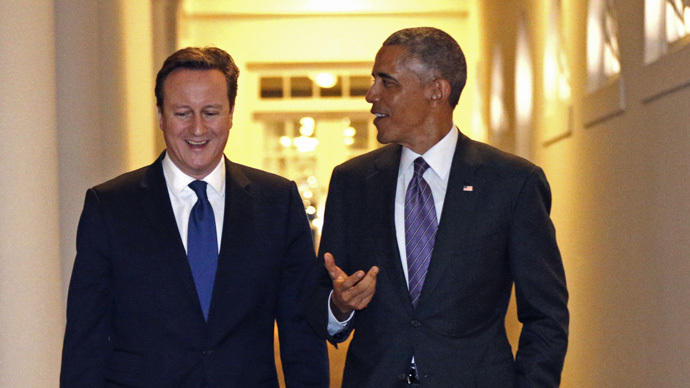 The memo states that Britain's significance to the US will depend on its economic growth. "A significant degree of the UK’s international influence flows from the success and dynamism of the British economy, further raising the stakes on whether the UK can sustain stronger economic growth while continuing to pursue ambitious fiscal consolidation," the memo states, according to the paper. The memo, prepared by the US Congressional Research Service, also reportedly touches on a potential UK exit from the EU following an ‘Out’ vote in a referendum: "Both the positive and the negative aspects of a prospective life outside the EU are more difficult to foresee," it notes. Explaining the role of a hung UK parliament (which occurs when no single political party or bloc of allied parties has an absolute majority of seats in the parliament), the memo warns it could even lead to a "brief period of ambiguity" and "constitutional uncertainty."